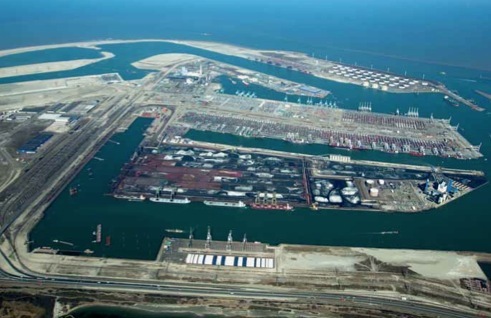 The Port of Amsterdam will see an expansion of bulk cargo traffic as new infrastructure projects come on stream and terminal investments prove their worth, according to Lex de Ridder, Manager Cluster Energy. DCI: Can you tell me anything about the volumes you handled last year, did you grow throughput? De Ridder: We set a record last year. Or, at least, the seaports of Amsterdam, IJmuiden, Beverwijk and Zaanstad together handled 95mt [million tonnes], up 1% compared to 2012 and higher than the previous record of 94.8mt set in 2008. The best performers were agribulk which was 17% higher and coal which was 14% higher. DCI: What drove your coal volume gains? De Ridder: Last year, coal was up dramatically, at an all-time high of 18.5mt. The stoppage of exports by Drummond from Colombia most likely played a role as when the big Capes don’t come from there then we are even more competitive. But mainly what happened was the market conditions were good. The coal business is focusing on Amsterdam and Rotterdam. Also gas prices were extremely high so almost all the gas terminals were closed in favour of coal. Moreover, nuclear energy is being phased out in Germany so all the conditions were there for coal to do well last year. DCI: Has this continued into 2014? De Ridder: The first quarter was also extremely good, and Drummond helped. Growth in coal was 15%. Actually we are a bit surprised that the growth keeps on continuing. Demand in Germany and Holland is not growing at this moment. It is supply-based growth. But I still think it will be a good year again. When you start this well, it would be strange if you end up below the year before. We really believe 2014 will be good for coal, the market has really peaked in the last 15 months. DCI: Have you seen changes to where the coal coming to Europe via Amsterdam is sourced from? De Ridder: Yes, shale gas usage in the US has meant more coal exports. The US is now almost becoming the second-largest supplier after Colombia, replacing Russia. Or at least you can say that the US is at the same level as Russia. Three to four years ago, Russia was the biggest source, but it will remain a major supplier. South Africa is now almost out of the picture as most of their exports go to India where they are dominant. DCI: You had big gains last year in agribulk, where was the extra cargo coming from? De Ridder: There was the economic crisis in Argentina which saw a shift of exports to Brazil, mainly soya beans and cattle feed, but also some cereals. But structurally, we will need to work very hard to maintain volumes this year and we’re a bit behind so far this year. It was a peak last year, but the market probably will not peak every year. DCI: How is bearish steel demand in Europe impacting iron ore imports? De Ridder: Volumes have been down a bit but scrap was good last year. We opened a third scrap export terminal last year. This is an export terminal that can handle scrap steel and non- iron metals as well as plastics and paper from all over the world and is operated by ALBA Group subsidiary, ALBA Scrap Trading. It has an area of 27,000 square metres, a quay length of 180 metres and storage capacities of over 200,000 tonnes, so it is more than five times as big as the previous ALBA site in Dordrecht. Ships with a loading capacity of up to 50,000 tonnes and a draught of 12.5 metres can be dispatched at the new terminal which is kitted out with a material handler, a wheeled loader and a mobile harbour crane — a Liebherr LHM 550. So we have big hopes for this facility. DCI: Last year biomass was showing great potential, has this continued? De Ridder: We’ve also had developments here, for both biomass and biodiesel. A €160m new plant operated by Orgaworld will start doubling its capacity for biodiesel this year. They can recycle animal fats and vegetable oils so they have an advantage against other factories that can’t. Eucocorp is going to open Amsterdam’s first dedicated biomass plant at the start of next year. We have more projects like this coming up, related to energy and recycling waste. It generates energy for the region so we’re giving something back. DCI: What investments have been made by your various stevedores over the last year? De Ridder: Our big coal stevedores have made an agreement which will see Rietlanden hand over a big 8.5 hectare parcel of land to OBA which will make operations smoother for Rietlanden and OBA. It means there is a lot of room for improving operations and investments and making the terminal work more efficiently because Rietlanden’s terminal was an enclave in the middle of OBA’s facilities. OBA can now add capacity and be more efficient. Although definite decisions have not yet been made, together with PoA they are now looking at how to achieve this transference and will decide later in the year. DCI: Where does this leave Rietlanden? De Ridder: They are doing very well, but with a little less land.They have enough space to grow though and they are continuously looking to invest and improve. For example: Rietlanden Terminals BV has the world’s first terminal to be illuminated entirely by high-power LEDs. This was also made possible by PoA. The resulting energy savings make the port's lighting installation unique. Just like OBA. DCI: Any more investments in the pipeline? De Ridder: The port is always open to new investment and we’re always encouraging all of our terminals to improve. We want to be ready for the future, for lightering, the new lock systems. We will not stop to invest in facilities and partnerships, all in the most sustainable and efficient way. It’s clear in Northern Europe that Amsterdam and Rotterdam are becoming the dominant players for coal. But we need to always keep pushing for other dry bulk cargoes. Rotterdam Bulk Terminal is investing for success as it looks to update its technical park and expand the service range it offers. The 70,000m2 facility located on the Vulcan Harbour offers quay length of 440 metres and draught at high tide of 12 metres. But while draught prevents the handling of the largest bulk carriers, RBT does offer a wide range of storage facilities. Investment in superstructure is also consistent, with managers shopping for the up-to-date equipment to guarantee the highest possible standards. Last year saw the introduction of a new BobCat S850 SJC (SJC stands for selectable joystick control), the largest in its line-up and ideal for use when emptying RBT’s large 12,000m3 feed grain silos using polyethylene knives on the bucket for added safety. This year RBT deployed a new Volvo L150G wheel loader which features a built-in dynamic weighing system. Developed for the heavy duty construction cargo handling and with weighing accuracy better than ±1% (under certain conditions), the highly accurate system helped to speed up truck loadings, according to Sviderski. RBT’s two gantry cranes and fixed 1,500-metre conveyor belt system are supplemented for lightering operations by floating cranes. Volumes were steady last year and split between industrial minerals, coal, agricultural commodities and biomass. Biomass volumes did grow for residential usage, but industrial demand decreased, said Sviderski. RBT is also helping customers with their logistics decisions and this is also expected to continue driving demand and throughput. and to continue to serve its customers as a reliable partner in dry bulk transshipment in the coming decades. EMO operates 24 hours a day, seven days a week. Its discharge capacity is 47mt (million tonnes) and its throughput capacity is more than 70mt. latest developments in the market. EMO continually analyses its customers’ needs, the quality of its services and the terminal’s performance. In anticipation of market trends and customer needs, it is continuously geared towards offering a more efficient, cleaner and safer terminal, one designed to meet all expectations. New plants E.ON en GDF Suez in Rotterdam A new 1,070MWe coal/biomass- fired power station built by E.ON on a neighbouring site is currently in the test phase. The same applies to the 800MWe coal/biomass-fired power station built by GDF Suez on the eastern section of the EMO site. Both of these ultramodern power stations will be supplied by EMO. EMO is ISO 9001, 14001, 18001 and ISPS-certified. Established in 1972, Maja Stuwadoors Group B.V. (Maja) is well- known for valuable expertise in the loading and unloading of bulk goods, operating a fleet of seven floating cranes in various ports. To cope with increasing business, the company has opted for its first Liebherr mobile harbour crane, type LHM 550, in order to upgrade its facilities. Providing a maximum lifting capacity of 124 tonnes and an outreach of up to 48 metres, the crane is equipped with two winches for highly efficient scrap handling. In four-rope grab operation the maximum lifting capacity is 75 tonnes and more than 40 tonnes at 43 metres outreach. In Amsterdam, a major client for Maja Stuwadoors is ALBA Group (ALBA). ALBA, a provider of environmental services and raw materials, has recently opened a new export terminal in Amsterdam and trusts in Maja’s long-term experience. Due to the flexibility of the new Liebherr machine, Maja is capable of successfully completing all cargo handling tasks ALBA requires. ALBA, Maja and Liebherr are family-owned companies, each with decades of experience in their businesses. In February 2014 the new crane for Maja rolled-off at the Port of Amsterdam. “The LHM 550 significantly increases our scrap handling capacity. Moreover, our portfolio comprises many other materials and thanks to its flexibility the new machine can be operated wherever it is required, especially in peak times. For that reason, our customers will also strongly benefit from this investment,” said Arie Holleman, director at Maja Stuwadoors. The short timeline of the project is remarkable. In late November, Maja Stuwadoors and Liebherr were in touch for the first time. After negotiations in December, the contract was signed in January. Manufactured and tested in Rostock, the crane was delivered fully assembled, just one month after signing. Right after rolling-off the barge, the crane was ready for operation in the middle of February. “Business is on the rise and fast delivery was very important for us. The close and professional collaboration between both partners was impressive and facilitated a short delivery time,” added director Marco Holleman. Before the LHM 550 moved its first load of scrap, Maja’s crane drivers were well instructed on site. This practical training comprises operational topics as well as safety features. Maja Stuwadoors attaches great importance to well-trained crane drivers in order to maintain its high quality standards regarding damage-free and fast scrap handling. The LHM 550 for Maja Stuwadoors also represents an anniversary crane for Liebherr Maritime Cranes. In total, the manufacturer has now delivered 30 mobile harbour cranes to the Netherlands. Floating Cranes are playing an increasingly important role in ship-to-ship and ship-to-shore bulk loading, unloading and transhipment of numerous cargoes including coal. Because they require no port infrastructure, floating cranes are flexible and can operate within or outside of ports.The importance of floating cranes is particularly being driven by port charges and bulk carrier size. Higher port charges are generally causing operators to reconsider their loading and unloading operations, moving them away from the quayside. Larger bulk carriers and the resultant deeper draughts mean that the ports need to be deepened or the bulk carriers must lighten their cargoes before entering port. Due to their flexibility and high throughput capacity, NKM Noell’s lemniscate floating cranes are increasingly used in The Netherlands to transship cargo from bulk carriers into barges for further shipment. Predicting these developments, NKM Noell started to develop an advanced floating crane concept in 2005. Computer simulations, interviews with crane drivers and thirty years of experience showed that crane throughput could best be increased, not by substantially increasing the hoisting capacity, but by increasing luffing and slewing speeds.With the intention to develop a floating crane, stability considerations played another major role. night time and joint operations with shovels in the hold.The excellent operator visibility results in a lower capacity drop in adverse conditions. In general reliability, availability and the crane’s lifetime are key aspects in the design. Essentially, the crane must be economical to operate and be environmentally friendly. In this respect, one optional design feature of the NKM Noell floating crane is the use of a flywheel to ‘charge’ the generator-sets located in the pontoon.The flywheel itself is ‘charged’ using regenerated energy from the movement of the grab. This feature reduces energy consumption and smoke emissions. The design of the advanced crane concept is derived from the classical lemniscate crane and incorporates the lessons learned from the above. Electrical drives, the NKM Noell lemniscates do not have hydraulic drives.The installed electrical drives need less maintenance and are more reliable.Also an electric drive is more energy efficient than a hydraulic drive, resulting in lower fuel consumption. NKM Noell can also supply the pontoon on which the crane is installed and can arrange the installation. Life-time maintenance is available via a Service Level Agreement (SLA) and any delivery is backed by the comprehensive NKM Noell guarantee. Even though custom-built floating cranes are complex, NKM Noell’s continuous improvement approach is continually driving down delivery times. After a prosperous 2013, managers at Marcor Stevedoring believe the ability to offer customized import-only services to agribulk and minor bulk customers will continue to prove successful in 2014. Already this year the Rotterdam stevedore has benefited from a bumper harvest of Ukraine grains which has seen imports of maize soar. “There has been bigger supply and competitive prices, in combination with low availability of soya from South America due in part to port congestion, which has affected supply reliability, Black Sea maize imports use in compound animal feeds have become an alternative this year,” said director Aad Groenenboom. The good start to the year driven by agribulk, which usually represents about two thirds of throughput at Marcor with the rest consisting of minerals and metals, should keep volumes steady in 2014 on the back of a strong 2013. The terminal operator offers a range of modern floating equipment including four grab cranes, two weighing towers and a storage vessel. Groenenboom said Marcor’s success in agribulk markets in one of the world’s most fiercely fought stevedoring markets was down to its ability to add — or at least retain — the cargo’s value. “Everybody can handle these products but it is how you do it that’s the key,” he told Dry Cargo International. “If you damage maize, for example, then its value falls. We only use mechanical gear, which is far better for corn than pneumatic handling equipment which can cause damage. NM Heilig BV, founded in 1978 as a family-run company, is now a major force in the bulk handling and recycling industry. NM Heilig has many years of experience and has been involved with the design, manufacture, supply and installation and commissioning of numerous projects worldwide. Most recently NM Heilig designed and produced a shore loading system for a large international company in the dredging and maritime sectors. The company was in need of a semi-mobile system for one of its own fall pipe vessels. It wanted to be able to load and unload vessels all over the world, therefore this system should travel along on board the vessel. Before, the company was only able to load and unload its commodities at ports where loading systems were available. The costs of getting the commodities to the port and onto the vessel are rising. Now the company can use its own shore loading system at any place in the world, which offers a more efficient logistic chain and makes the client flexible in choosing the location for transshipment. NM Heilig’s custom-designed shore loading system consists of two parts, an extraction feeder, which consists of a bunker and a heavy duty vibration feeder and a conveyor belt, with undercarriage, that is driven by two motors. The system can be loaded with a front loader and a excavator. The complete system is fitted with a most effective dust suppression system, this can be switched on when the broken rock material includes a lot of dust. Both parts of the system can be controlled by an advanced human machine interface or by remote control. The length of the conveyor belt is 40 metres with a discharge height of 16 metres. The capacity of the shore loading system is rated at 2,000 tonnes per hour. Individual parts of the system weigh less than 30 tonnes, due to the capacity of the crane on board of the vessel. The system is not tied to the vessel and can be relocated at any time. The shore loading system has a radial mode, this enables excellent trimming ability when loading the vessel. The system is also maintenance-friendly due to the platforms alongside the entire conveyor belt. N.M. Heilig B.V. organizes and executes all project activities in accordance with ISO 9001 quality system and is as a contractor VCA- certified as well as for assembly. Due to its extensive experience and expertise, it can customize its equipment to guarantee the precise material handling properties and output required by its customers. For this project several offshore and crane standards were applied, especially regarding to the coating system and the selected materials used for the installation. TATA Steel IJmuiden: supply of scissors grabs for handling coal and iron ore for its 40-tonne grab unloaders. As well as the above, NEMAG has been awarded with contracts (repeat orders) from Rhenus Midgard Germany,ABP Immingham (for TEREX Port Solutions mobile cranes), E-On Liverpool (for TEREX Port Solutions mobile crane),TATA Steel United Kingdom,ArcelorMittal France and ILVA Italy. The success of NEMAG can be summarized as ‘producing grabs which result in the lowest handling costs per tonne material transferred’. The success is supported by intensive cooperation with – for instance – Technical University Delft and other Knowledge Partners, as well as a direct knowledge exchange with end users. This drive has resulted in a customer base which include the largest bulk handling companies world wide, spreaded over more than 60 countries. Nemag celebrates its 90th anniversary this year. As a company, it believes in long-term growth, rather than short, unsustainable bursts of growth. This approach has enabled it to make sure and steady progress in the marketplace, and to do the very best it can for its customer base. The Dutch sales and service Partner, Kuiken N.V., was able to deliver a new SENNEBOGEN 850 R Electro at the beginning of 2014. The electrically powered machine is impressive with the highest level of reliability at the lowest energy costs. As a scrap recycling enterprise, for more than 80 years Koster Metalen B.V. has specialized in the further processing of ferrous metals and non-ferrous metals. The family business handles approximately 450,000 tonnes of material each year, and has set for itself the ambitious goal of achieving a recycling rate of almost 100%. For the logistics at the scrapyard in Bevervijk, recently Koster Metalen has been relying on a new SENNEBOGEN 850 Electro. The electric machine with 250kW drive power was specially designed to meet the customer’s requirements. With a reach of up to 21m and a 5m mask elevation, the materials handling machine conveniently covers an area of 1,400m2. The machine can move flexibly thanks to the crawler undercarriage with 4.9m track width. For the operator, the maXcab Industry Comfort cab, which can be variably adjusted in height by 2.7m, at a height of over 10m, offers an ideal view of the mountains of scrap, and an ideal view into the scrap metal shears. For boarding and for maintenance purposes the SENNEBOGEN 850 R has a perimeter railing on the uppercarriage and walkways all around the mast. Koster manager, Michel de Pagter, was quickly convinced of the advantages offered by the electrically powered materials handling machine. The robust workmanship and an extensive range of safety components were important features. “We anticipate lower operating costs and service costs, and a longer service life than comparable diesel machines can provide. We can handle minor maintenance tasks ourselves, thanks to the well-designed machine structure. For regular maintenance and spare parts supply we rely on the dependable service offered by Kuiken N.V.”, explains de Pagter. Operator Freek van Stein has particular praise for the good overview from the elevated maXcab Industry cab. The inclined windshield and a set of surroundings cameras combined with the lighting package are very effective when charging the scrap metal shears — an important plus in terms of work safety. Also on long work days in the machine, comfortable work is ensured, thanks to outstanding ergonomics and the air suspension comfort seat, emphasizes van Stein. “With the opening of our SENNEBOGEN Academy we are investing in the future. Instruction and training are the supporting pillars of every enterprise. We are building on well-trained employees and dealers and we are also offering our customers the perfect environment to even better ‘experience’ our machines. At the same time the Erich Sennebogen Museum ventures to look back to the roots of the family-run enterprise, SENNEBOGEN.” This is how CEO Erich Sennebogen concisely expresses the idea of the recently opened Academy. With the official opening of the SENNEBOGEN Academy and the Erich Sennebogen Museum in May 2014, the family-run enterprise sets another milestone in the more than 60-year company history. In its facilities, the newly-founded SENNEBOGEN Academy GmbH & Co. KG houses a modern machine training center, including demonstration site, in addition to generously-dimensioned training rooms and conference rooms. In an authentic manner, the Erich Sennebogen Museum offers insights into the more than 60-year company history. With the historic machines in view and framed by original contemporary documents and exhibits, the museum invites all to have a look around. In the future the pyramid-shaped building will also offer facilities for events of all types, from a conference to a formal ball. The recent acquisition (1 April 2014) of the ACP Terminal by OBA Bulk Terminal Amsterdam marked another step in the continuous optimization of OBA’s capacity utilization, meeting the customer’s requirements for flexible and efficient services. This site, with an available storage of 9 hectares and a quay of 330 metres, was previously used by Rietlanden. OBA now has three terminals, namely; Main Terminal, ACP and Terminal North which form one integral facility with a total quay length of 1.7km and a storage availability of 70 hectares. In the new situation there are additional technical and operational possibilities to intensify the use of conveyor belt systems. Because of that the handling frequency and the internal transportation by trucks and pay loaders will be reduced substantially resulting in positive effects for the environment which is clearly an important consequence as well. Hitachi Construction Machinery (Europe) NV has launched the first of a new generation of excavators, the ZH210LC-5 hybrid. The latest innovative Zaxis-5 model has been designed to deliver reliable performance with fewer emissions and less fuel than conventional models1. More economical for owners, easier for operators and better for the environment, the ZH210LC-5 hybrid incorporates advanced technologies adopted from hydraulic, electric and battery- powered excavators. The result is the TRIAS HX system, which reduces fuel consumption and CO2 by up to 31%. The new ZH210LC-5 hybrid excavator will provide energy- saving performance, but without compromising on power, speed or ease of operation. Thanks to the flexible combination of a proven hydraulic motor and an eco- friendly electric motor, it can give the same high levels of efficiency and smooth swing motion as all Zaxis-5 hydraulic models. The TRIAS HX system combines a hybrid system with an energy-efficient TRIAS hydraulic system to achieve extremely low levels of fuel consumption. The hybrid system incorporates a swing motor that converts energy generated during swing braking into electrical energy. This is transferred via the Power Control Unit and stored in the capacitor unit, before being used to help the engine accelerate and move the upper structure. The energy-efficient TRIAS hydraulic system enhances the performance of the Hitachi ZH210LC-5 hybrid excavator. This employs a three-pump/three-control valve system, which results in greater accuracy and reduces pressure loss that consequently saves energy. The ZH210LC-5 also has an electric power assist system that comes into force for small swing operations. It uses energy from electric swing motors to carry out such movements, further reducing the machine’s fuel consumption. While the ZH210LC-5 model matches the performance characteristics of the other medium excavators in the Hitachi Zaxis-5 range, its ability to switch between the hybrid and TRIAS systems results in further reduced running costs and an even greater contribution to profitability. In addition, the ZH210LC-5 has been designed with a monitoring system, which highlights fuel consumption and energy usage on an average hourly and daily basis. This gives the operator an accurate indication of the machine’s efficiency and encourages greater awareness of economic operating techniques. After a day’s work, for example, the operator can check how fuel is saved and identify ways to further reduce consumption. The HYB icon on the monitor indicates that the hybrid system is operating and is illuminated once the amount of electricity in the capacitor has reached a sufficient level.